Abuja, Nigeria – Professor Al-Hassan Conteh, Liberia’s Ambassador to the Federal Republic of Nigeria, has highlighted Liberia’s integration efforts in the African Union (AU) and the Economic Community of West African States (ECOWAS). 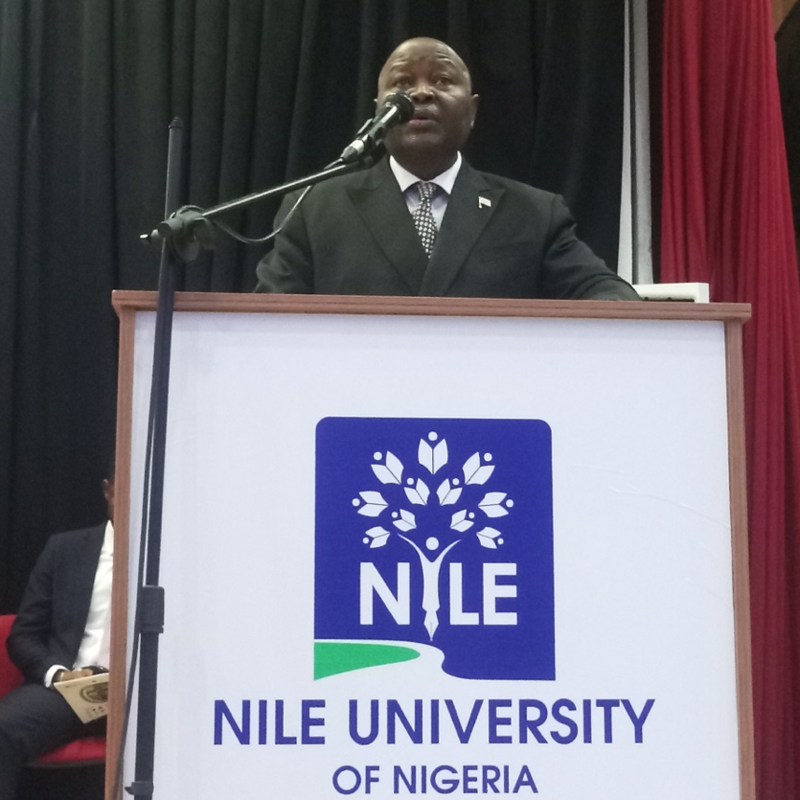 The Liberian Ambassador, according to a press release from the Liberian Embassy in Abuja, spoke on Wednesday, March 20, 2019 at the opening ceremony of a two-day conference held on the campus of the Nile University of Nigeria in Abuja. The conference held under the theme “Progress and Society in Africa”, was the Nile University’s 5th International Conference on Social Sciences. The Keynote Address was delivered by Dr. Canisius Kanagire, Executive Secretary of the African Ministers’ Council on Water (AMCOW) based in Abuja. He spoke on AMCOW’s role in promoting cooperation, security, economic development and poverty reduction among African Union (AU) Member States by implementing the AU’s commitments to water and sanitation goals in Africa. Serving as one of the panel discussants of the conference, Professor Conteh buttressed the keynote speaker’s assertion about the importance of water, sanitation and health in African Development and the achievement of the Sustainable Development Goals. Ambassador Conteh also told the audience, including professors, the diplomatic corps and students, about Liberia’s regional integration strategies as a member state of the AU and ECOWAS, the release continues. He explained Liberia’s cooperation with the African Union and ECOWAS in achieving their respective Visions 2020 and 2063. He said the former was about transforming ECOWAS of States to ECOWAS of People, while the latter aspires to build a peaceful and resourceful Africa driven by its own citizens. He said Liberia has always been in the forefront of African integration. The notion of African Union stated in Liberia in 1959 and eventually led to the founding of the Organization of African Unity (OAU) in 1963, which was later launched as the AU in 2002. Ambassador Conteh also spoke about Liberia’s progress in the signing of key integration agreements, including the Africa Continental Free Trade Agreement (AfCFTA) and Economic Partnership Agreement of ECOWAS. 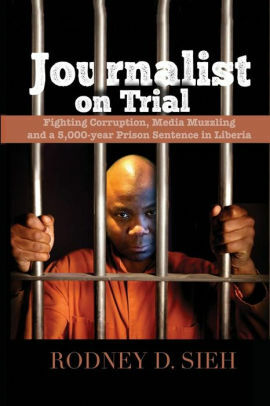 According to the release, the Liberian Envoy also used the occasion to inform the audience about what the Pro-Poor Agenda for Prosperity and Development (PAPD), which is Liberia’s current development plan under the administration of President George Manneh Weah. Explaining each of the four pillars of the PAPD, the Liberian Ambassador said that the overall goal includes building a stable, resilient and inclusive nation embracing “our triple heritage and anchored on our identity as Africans”, as well as to lift an additional one million Liberians out of poverty over the next six years. The two-day conference at the Nile University of Nigeria in Abuja focused on new advances in research in the social sciences. Over 300 participants participated in the conference. They included ambassadors and high commissioners, thought leaders, management gurus, cabinet ministers, members of parliament, vice chancellors, deans and directors from reputed national and international universities. Goodwill messages were delivered by the Vice Chancellor of the Nile University, Professor Dr. Osman Nuri Aras, the Vice Chancellor of the National Open University of Nigeria, Professor Dr. Abdalla Uma Adamu, the Vice Chancellor of the University of Abuja, Dr. Michael Umale Adikwu and the Vice Chancellor of Nasarawa State University, Professor Dr. Suleiman Bala Muhammad, among others, the release concludes.